You’re invited. Bright hues and fresh breezes amplify magnetic ocean views from private balconies or terraces in our in our 119 guest rooms, including 13 suites. 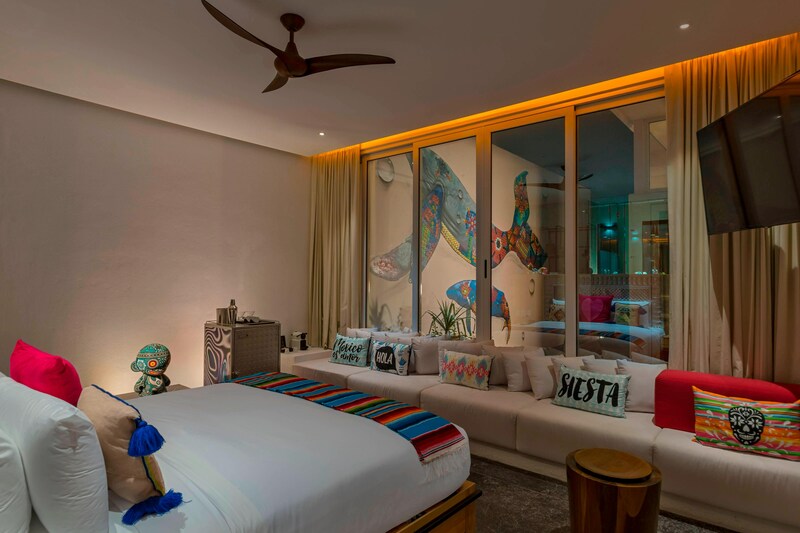 Infused with bohemian surf culture vibes, each includes unmistakably Mexican accents, including playful pillows, woven screens, surfboards, and imaginative murals infusing the local culture into every corner. Take downtime further with Samsung Smart TVs complete with Netflix streaming and more. Or turn up the soundtrack on the iHome with iPod dock. Indulge in a snack from the W MixBar or a sip from the Nespresso coffee maker, with complimentary coffee capsules. High Speed Internet access and a dual-line cordless phone with voicemail keep you connected. 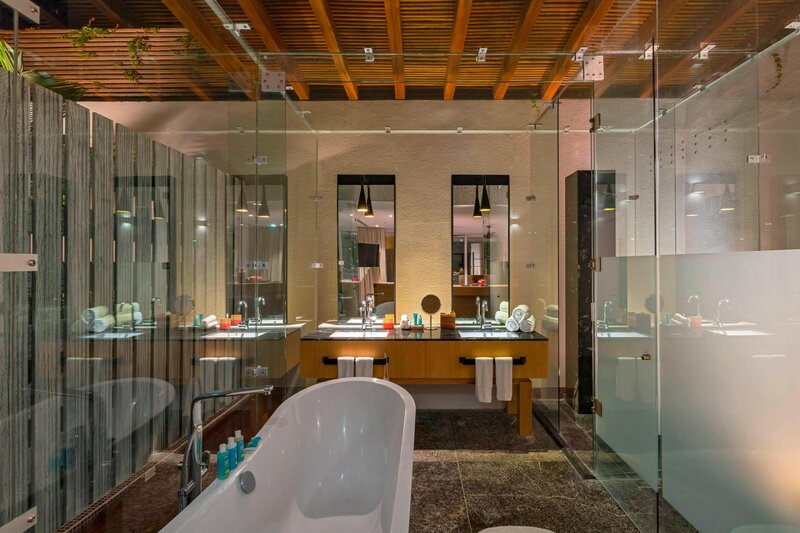 Recharge with Bliss® sink side six bath amenities in bold open-concept bathrooms, home to deep soaking bathtubs and glass-enclosed showers. Signature W beds and a W pillow menu set the scene for a rejuvenating sleep. 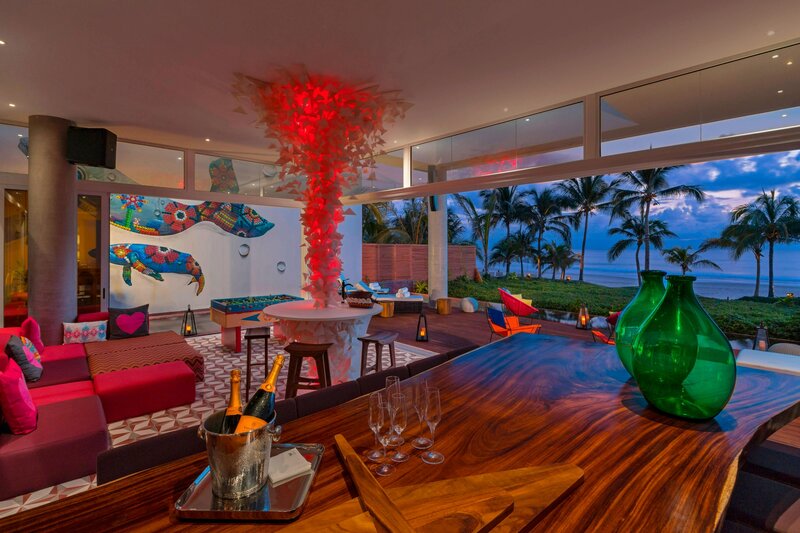 Own every moment of your Mexican escape in our two-bedroom Extreme Wow Ocean Front Oasis.